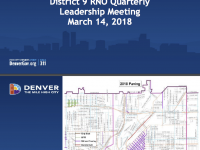 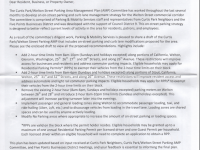 Name of Document: Public Works Slideshow at District 9 Registered Neighborhood Organization Meeting Date: 14 March 2018 view entire slide show as a PDF Highlights: Paving Plan Neighborhood Transportation Management Program (NTMP) Contact: Morgon Whitcomb, Neighborhood Transportation Manager Source: City of Denver email 15 March 2018. 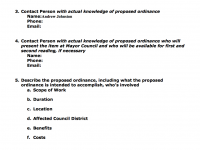 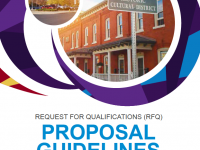 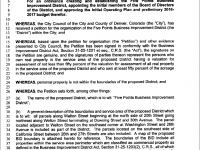 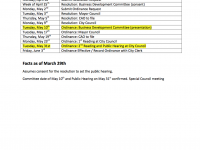 Five Points Business Improvement District Ordinance Resolution Request date: 2 May 2016 (found on internet 22 October 2016) read the Resolution Request PDF Contact:City of Denver source: City of Denver SIRE website 22 October 2016. 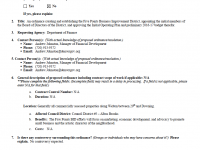 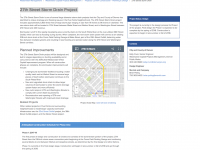 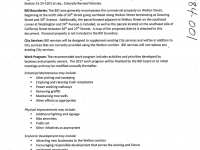 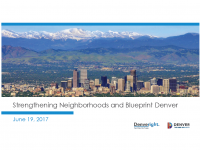 Five Points Business Improvement District Operating Plan date: unknown found on internet 22 October 2016 read the budget proposal as submitted to City of Denver Contact: City of Denver source: City of Denver SIRE website 22 October 2016.